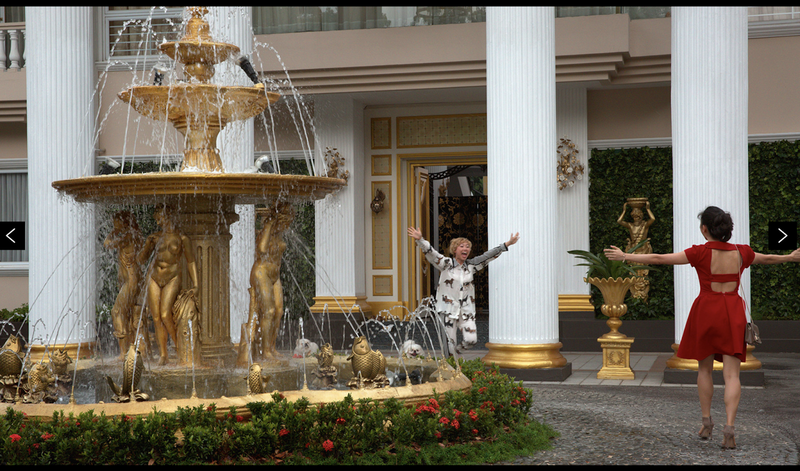 Our family is looking forward to the opening of Crazy Rich Asians tomorrow. Have you read the books? They are really fun and funny, but in no way describe the lives of typical Singaporeans. Even the house of the non-crazy rich college roommate is very atypical. As a math major and former volunteer math tutor at public schools, I was asked often about the merits of Singapore math. My stock response is that I'm sure our kids would do better in math (and reading) if we had Singapore housing (and health care.) Once kids are adequately housed and cared for, I'm sure they will do better in math. Did you know that the majority (82%) of Singaporeans live in public housing? Read more about Singapore Housing from their Housing Development Board (HDB) and an article describing its strengths and shortcomings from the Economist. Contrary to conservative arguments that public welfare projects make people soft and lose their drive, public housing usage has gone down from a high of 87% in 1988-1990 to 82% today. Give people clean, safe, and conveniently-located--albeit small--housing, and they may work a bit harder to get bigger digs on the open market. Anyway, single family homes (never mind palatial estates on huge park-like grounds) are exceptionally rare. Most people live in mid and high-rise condos of modest size. You can see sample floor plans of HBD condos by scrolling down to Housing Types on the HBD intro page. I found the virtual flat tours entertaining and informative, though slow to load. 5.8 million Singaporeans live on island at an average density of 8157.61/km² or 21,573.9/mi2. That's slightly less than NYC's 26,403/mi2. 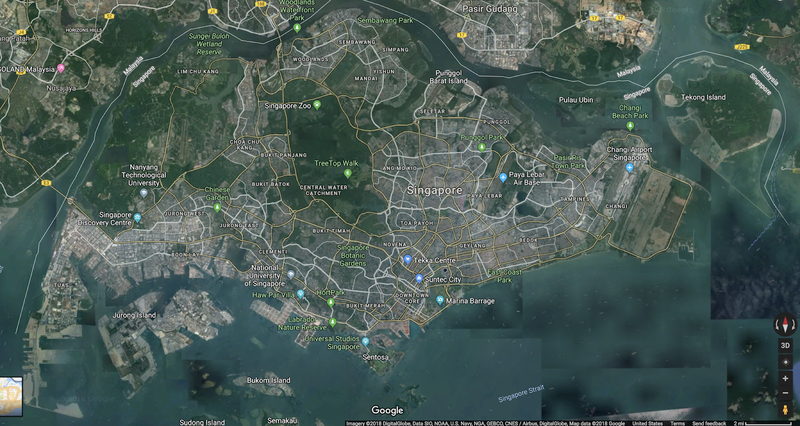 It's important to note that Singapore is a sponge city, with roughly half of its land surface area left open for park land and water capture. Thus, their effective population density is doubled. Check out the 3D maps of Singapore on Google Maps. It's so green. There is so much park land. The buildings are so tall. I found the ending of the Crazy Rich Asians trilogy hugely disappointing from an urban planning perspective. "Saving" the family home means leaving it incredibly low density for a lucky few, while the rest of the population is squeezed into small condos. Despite the ending, I highly recommend the trilogy, especially book 3, Rich People Problems. It deals with the darker side of inequality in Singapore. I don't know what it means when a bride is given two teen-aged "ladies in waiting" for life. I think I know what it means, but I want Crazy Rich Asians to do well at the box office so that I can see how book 3 is represented on screen. If you want to read a really good book about racism and inequality in modern day Singapore, try Cheryl Lu-Lien Tan's Sarong Party Girls. Don't believe the mediocre ratings on Goodreads by people who were disappointed that the content did not match the upbeat chick lit cover. [One of my friends moved to Singapore to work on their push for water independence from Malaysia. I'll write more about that in my water series, starting with the water recycling plant near my home. Yes, Los Angeles/Orange County has joined the ranks of advanced water recyclers like Israel and Singapore. SoCal just needs to expand our capacity and work on improving our landscape permeability. I would love to have Singapore-style housing (and parks) in urban California. What do you think it would take to move in that direction? But the part in the article about "housing developments that vote for the political opposition are moved last in line for renovations" is not what I want. I know, the partisanship caused alarm bells to go off, too. As does that they are 99 year leases and should be a depreciating asset, but people treat them like piggy banks that must rise. It's also alarming that singles and gays cannot buy subsidized housing until they are 35 but straight married couples can get subsidies at 21. Also, what if you have toxic parents and don't want to live with them until 35? I should note that subsidized rental apartments are also available. I do envy the huge amount of resources spent on housing and water, so that all residents have access to clean and safe homes and water. I think that every wealthy society has to reflect on why a poor country was able to do that (Singapore was very poor 50 yrs ago) and we have not. Priorities. I wholeheartedly agree that we should have better priorities. I do wonder if Singapore has been able to accomplish so much because they were poor 50 years ago, not in spite of it. It will be interesting to see what happens to their society in the next few decades now that they have more wealth. Re the toxic parents--what if your parents are fine, but you still would prefer not to live with them until 35? I think I would prefer to say that two adults can be eligible for subsidized housing, without regard to whether their relationship is a romantic one or if they are roommates.